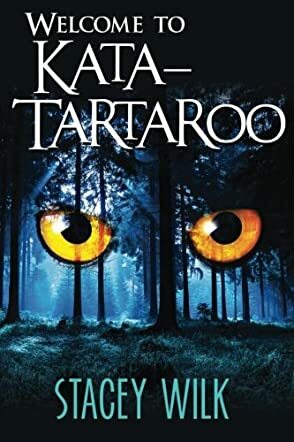 Welcome to Kata-Tartaroo by Stacey Wilk takes readers on an exciting journey of adventure and fantasy along with thirteen-year-old Gabriel Hunter, a Lesser who finds himself transported to a new place, Kata-Tartaroo, one morning. The place gives him the creeps and Gabriel thinks it is a dream or he has been sleepwalking. There are no adults in Kata-Tartaroo, only boys, and the noises coming from the woods that night keep Gabriel awake. He realizes that he cannot escape from the place and he is stuck there forever. He meets two Moors there, Owen Agnitio and Corinna Fornax, and though they are brought up saying the Moors and the Lessers are enemies, Gabriel knows he will have to put aside all of that to escape. They get an opportunity to escape if they are able to collect three objects within twenty-four hours; the first object: a sword guarded by a Sphinx; the second: an egg from the Falian Bird; and thirdly, a pouch of Dazzling Light Bugs. Will Gabriel, along with his Moor friends, be able to collect them and leave the place? Filled with suspense, intrigue, excitement, and adventure, the book will keep readers on the edge of their seats till the very end. The characters are well sketched and the author manages to build the excitement in the plot as the story progresses. The story is fast paced and the world created by the author is interesting and whimsical, taking readers to another dimension. The demon owls and the forest add to the creepiness and scariness of the story and readers will definitely be looking forward to Book 2.